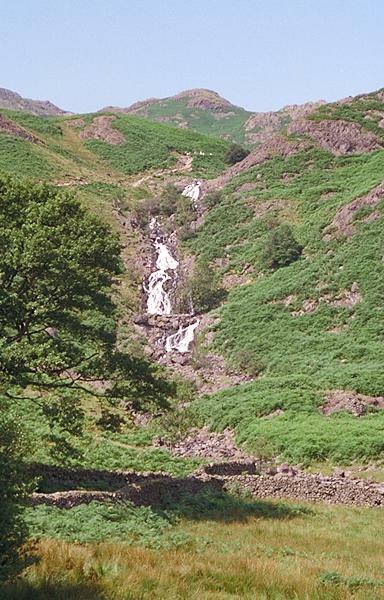 These cascades fall between Brinhowe Crag on the left and Ecton Crag on the right. The peak in the background is an unnamed crest on the east ridge of Tarn Crag, below Greathead Crag. Smaller version of this picture.